Scooters can be a great alternative to using a car in Downtown San Diego and the neighboring urban areas without breaking the bank. Due to their small engine and size, they provide good gas mileage and can be parked virtually anywhere. Scooters and mopeds also have a better safety record than motorcycles as well. 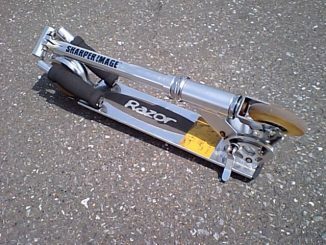 However, scooters do not have the safety measures that automobiles do such as an exterior frame and crash cage as well as seatbelts. 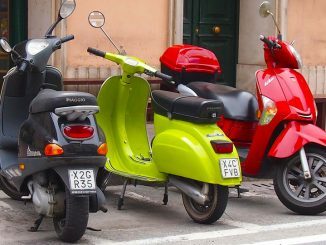 Many victims of scooter accidents in San Diego have sought out the help of our Law Group for their personal injury claim. Our lawyers are experienced scooter accident attorneys and we are familiar with the facts and issues involved in these cases, including investigating any design or manufacturing defect. If you or a loved one has been injured in a San Diego scooter accident, please contact us for more information about how our lawyers can help you. Experienced San Diego Scooter Accident Lawyers can Help You if are Injured when Struck by a Car. With the increased cost of gas, riding a scooter in San Diego seems like a viable alternative to driving a car in Downtown San Diego and in nearby neighborhoods such as Bankers’ Hill, Little Italy, and Hillcrest. Scooters make up for their speed with their gas efficiency on the city streets. However, despite all of the good qualities about scooters, they can be dangerous if they are involved in a collision. Since most scooters do not have much (if any) safety features, scooter drivers must be extremely careful when they ride a scooter, especially on a crowded road. It is important to wear a helmet at all times. Wearing a helmet will decrease the scooter rider’s chances of suffering a permanent brain or spinal injury. It is also not a bad idea to wear a motorcycle jacket and/or pads as well, especially if you are new to the scooter. Even if scooter drivers take all safety precautions, they cannot control the other cars on the road. Some scooter accidents are just unavoidable, and scooter drivers can be seriously injured from no fault of their own. If this ever happens to you when riding a scooter in San Diego or California, be sure to talk to an experienced San Diego scooter accident attorney. We have represented several people injured in scooter accidents and have achieved favorable results for our clients. If you or someone you know has ever been involved in an accident involving a scooter, please contact us for a free initial consultation.